The Class AAAA and AAAAAA finals series concluded Wednesday night at State Mutual Stadium in Rome. 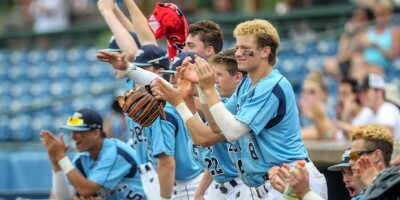 Jefferson won 6-3 in Game 3 of the AAAA championship to give the Dragons their first baseball state title, and Pope exploded in the final inning to pull away from Allatoona 10-2 as the Greyhounds took back-to-back crowns in AAAAAA. Jefferson batted around in the opening inning of the Class AAAA decisive Game 3 and took a 5-0 lead. Cartersville added runs in the bottom of the third and fourth innings to cut it to 5-2 before Jefferson used a double play to end the second inning and preserve the three-run cushion (5-2) that the Dragons held entering the seventh. Jefferson plated its final run on an error in the top of the seventh inning, and Cartersville’s Anthony Seigler’s solo home run in the bottom of the seventh brought the Canes within 6-3. Cartersville had runners on first and third with the tying run at the plate, but Jefferson held on to win its first state title. Defending Class AAAAAA champion Pope, which was an out away from getting swept in Game 2 before a two-run rally sparked an 11-9 extra-inning victory, jumped out to a 2-0 lead in the top of the second inning. The Greyhounds increased their lead to 3-0 after the top of the fourth inning, but Allatoona struck back with runs in the bottom of the fourth and fifth innings to pull to within one run. 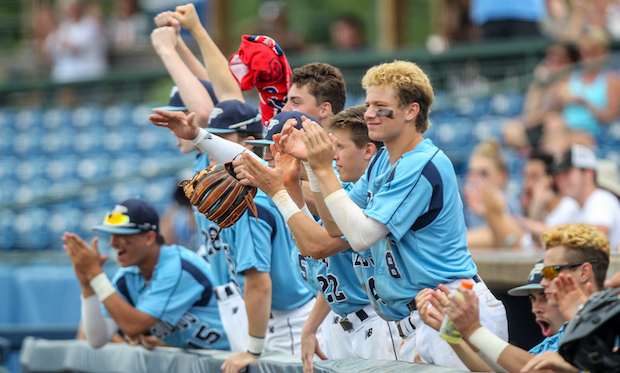 The Buccaneers opened the top of the seventh trailing Pope 3-2, but the Greyhounds ran away with seven insurance runs in the bottom half and celebrated the program’s fourth state title since 2009.